^ Smith, David (June 2004). "Microsoft Narrowing Down Xbox Successor's Name?". Ziff Davis Media. Archived from the original on 2007-05-17. Retrieved July 26, 2008. ^ Fahey, Rob. "Japan is just a symptom of Xbox' problems". GamesIndustry.biz. Retrieved 23 June 2018. ^ "Install Your Own 120GB Xbox Drive, Save $100". Gizmodo. Gizmodo. Retrieved 15 August 2018. ^ "Xbox 360 HDD Replacement". IFixit. IFixit. Retrieved 15 August 2018. 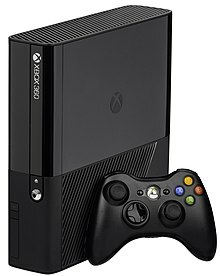 ^ a b "E3 2008: 60GB Xbox 360 official, 20GB discounted and discontinued". Archived from the original on 2013-01-23. ^ "AKQA Designs Xbox 360 Game Interface". Adweek. Adweek. Retrieved 18 August 2018. 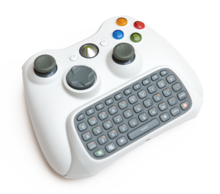 ^ "Xbox 360's cluttered interface led to Microsoft starting from scratch with". Games Radar. Games Radar. Retrieved 18 August 2018. ^ "Xbox 360 system update gets its colors in order, makes it mandatory". Engadget. Engadget. Retrieved 18 August 2018. 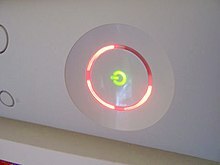 ^ "Mandatory Xbox 360 Update Breaks Some Consoles, Microsoft Claims 'Coincidence'". Consumerist. Consumerist. Retrieved 18 August 2018. ^ "Microsoft aposenta aplicativo do Xbox 360 SmartGlass". Olhar Digital. Olhar Digital. Retrieved 18 August 2018. ^ "E3 2012: A closer look at Xbox SmartGlass". CNET. CNET. Retrieved 18 August 2018. ^ "The Sonic 4 "Leak Week," One Year On". Tssznews. Tssznews. Retrieved 24 August 2018. ^ "MICROSOFT INVESTIGATING HALO: REACH LEAK". IGN. IGN. Retrieved 15 August 2018. ^ "Yakuza 6's Demo Glitch is Another Mishap in Sega's History of Leaks". US Gamer. US Gamer. Retrieved 15 August 2018. ^ "THE YOUNG AND THE RECKLESS". Wired. Wired. Retrieved 15 August 2018. ^ "European retailers list Bayonetta, Vanquish and Shenmue releases for". VG 247. VG 247. Retrieved 15 August 2018.